24 x 18 cm . 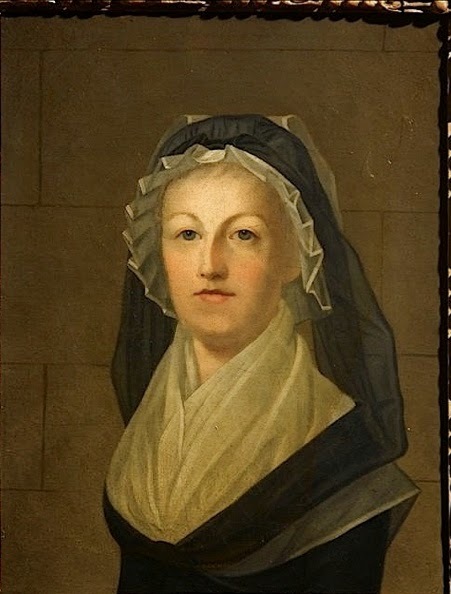 Apart from David's famous sketch of the Queen on her way to the scafford, this portrait, by the former Court painter, Kucharski, is the very last portrait of Marie-Antoinette from life. It was posed for a short time after Louis's execution in January 1793, not as sometimes claimed, when Marie-Antoinette was being held at the Conciergerie. 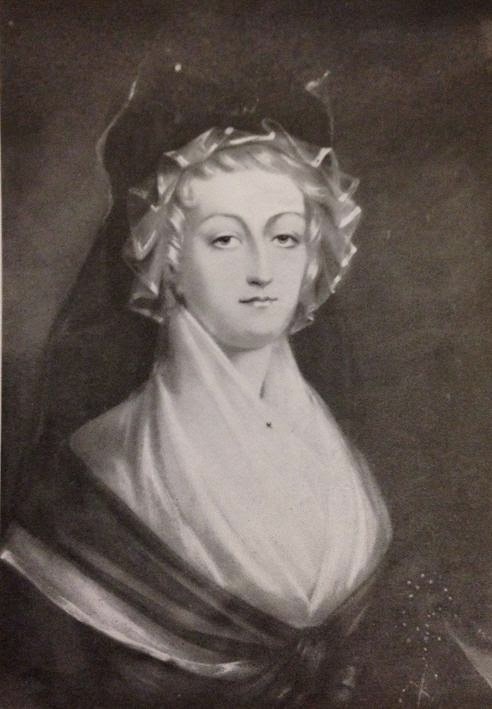 At this time letters were still exchanged with the royal prisoners and discreet visits to the Temple could be arranged; it is possible that Kucharski was himself somehow involved in an abortive attempt at flight orchestrated by the Queen's femme de chambre Madame Reynier de Jarjayes, for the night of 9th-10th March 1793. The administer Michonis who was subsequently arrested and interrogated at the beginning of September 1793 admitted allowing entry to "various people", among them a "painter". 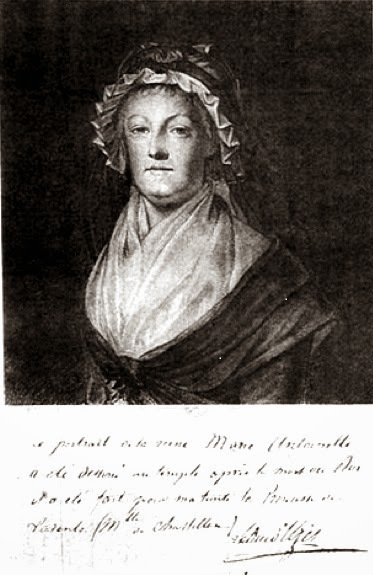 Marie-Antoinette herself explained that the Kucharski had simply come to paint a pastel - his Polish name was so badly transcribed that he was not identified at the time. According to the Prince d'Arenberg Kucharski saw Marie-Antoinette twice, on both occasions incognito. (The legend is unsubstantiated that he disguised himself as a National Guardsman, a ruse which was certainly used by the artist Laurent Dabos to enter the Temple to paint Louis XVI and his son. Significantly, on 1st April 1793 the Commune decreed that no-one guarding the Temple or anything else could engage in drawing under pain of arrest.) The existence of Kucharski's work was known among émigrés from 1793: Ferson looked for it ("All that came from her will be precious to me"). The dating suggests, therefore, that the picture was sketched between the end of January and the beginning of March, then finished off at a later point in Kucharski's studio, rue du Coq-Héron. There are a number of different versions and copies of the portrait. The oil from Versailles, reproduced at the top of this post, is one of the best quality copies accessible to view, and is generally attributed to Kucharski himself. The one above, a pastel, first published in the comte Walsh de Serrant 's Souvenirs de la Révolution in 1901, is held by Olivier Blanc to be the original. Dimensions are unknown. The manuscript annotation, by Louis d'Uzès, affirms that the portrait was made at the Temple after the death of Louis XVI and was intended for his aunt, the Princesse de Tarente, who had escaped the September Massacres and taken refuge in London. At the time of publication in 1901 the picture was still in the family; according to Olivier Blanc it may still be extant. A third "original", this time an oil painting on a canvas mounted on wood, belonged to the collection of Prince Auguste d'Arenberg in Brussels. According to the d'Arenberg Galerie catalogue of 1829 Kucharski had kept it hidden for a long time and finally gave it to Prince Auguste d'Arenberg, during a trip the latter made to Paris in 1805. Oil on canvas, wood mount, 25cm x 20cm. 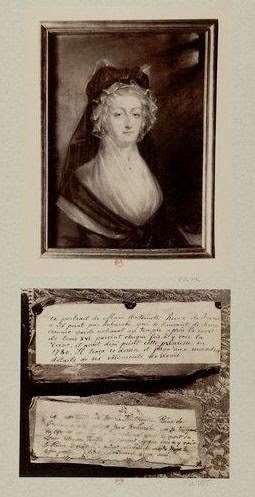 This text is very similar in wording to the note with the first portrait described by Marguerite Jallut, though there is no direct evidence that the Prince d'Arenberg was author of both. Presumably the suggestion (quite reasonably) is that the pastel represented a preliminary study and the oil a more finished version. In reality there is no definite means of establishing priority between the early pictures - especially since in all three cases the originals are lost. Cosmos Raminez, "Marie-Antoinette en deuil, par Kucharsky" on Le forum de Marie-Antoinette 21/12/2013. This post has a comprehensive set of illustrations of known versions of the picture. 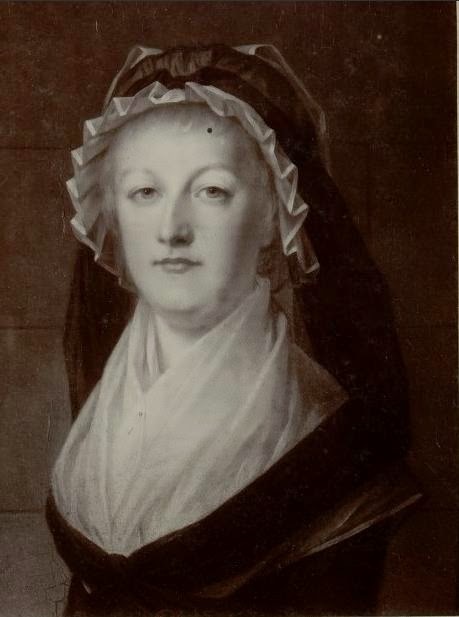 Marguerite Jallut, "Kucharski, dernier peintre de Marie-Antoinette", in Revue d'Histoire de la Philosophie et d'Histoire générale de la Civilisation, Lille, juillet-décembre 1939, p.251-271. I take your point, certainly about the Versailles portrait. Do you think that the existing versions are all copies, or are you saying Kucharski didn't paint this pose at all?